LONDON - Paddy Power is looking for an agency to handle above-the-line advertising for its online gaming and casino businesses. The bookmaker has approached a number of London agencies with a view to holding a pitch in the following weeks. An RFI has yet to be issued. The pitch will not affect the £1 million advertising account for its chain of betting shops, which is overseen by Big Al's Creative Emporium. The winning agency will be briefed to handle advertising duties for the company's on­line gaming sites as it looks to achieve standout in the oversupplied market. It will be the first time a separate agency has worked on the account. Big Al's won the main Paddy Power business in February after a final shoot-out against Bartle Bogle Hegarty. The incumbent on the account was Karmarama, which declined to repitch. The agency won the business in September 2008. 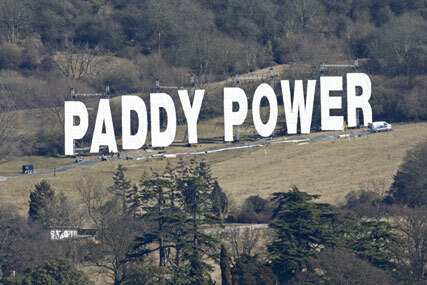 Paddy Power had previously used a variety of shops, including Cawley Nea\TBWA. Paddy Power was recently forced to abandon plans to run its latest ad on TV after regulators feared it could cause widespread offence. The spot features four wheelchair-bound friends "doing a runner" on their bill from an Indian restaurant.